After 24HourFlex has completed COBRA Open Enrollment, it is important for you to log in to your COBRA Employer Portal and verify that the information is accurate. This helps to avoid future issues and ensure that your company’s plans and rates are prepared for the upcoming year. 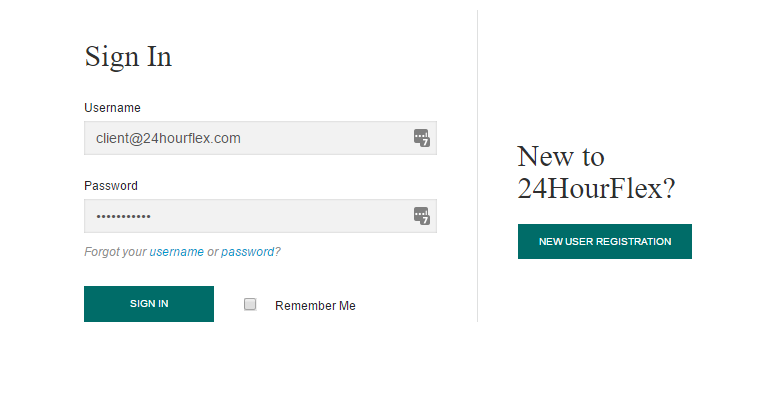 To do this, you will first need to log in to your Employer Portal at portal.24hourflex.com. After logging in, you should see the main home page. 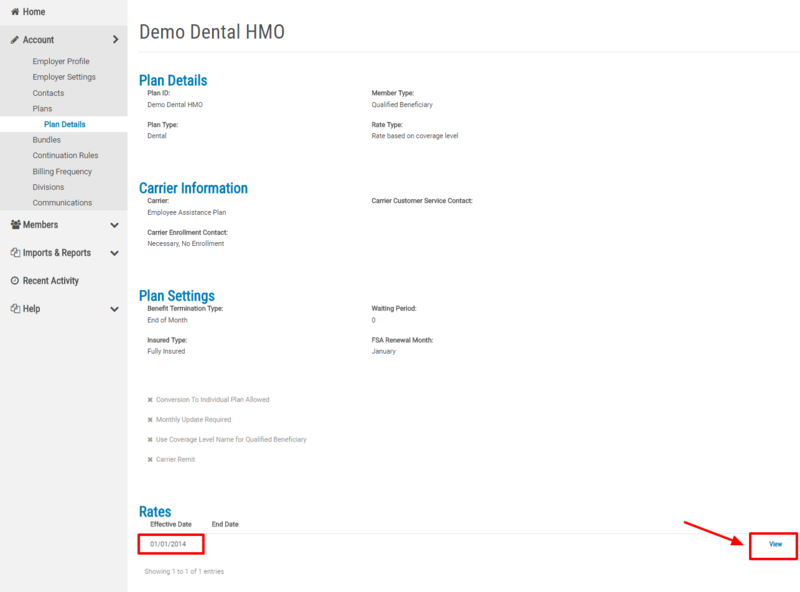 To check your plans and rates, click on the “Account” menu on left side. Then click “Plans”. 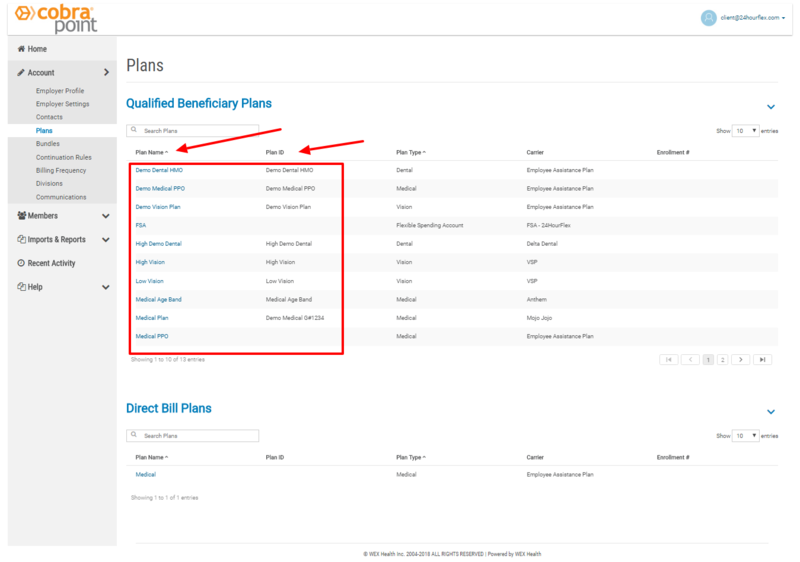 On the Plans page, you will see a list of all of your COBRA plans for Qualified Beneficiaries and Direct Bill (if applicable). Please verify that the Plan Names and the Plan ID (Carrier ID) names are accurate and align with your records. After you have confirmed that the Plan and Plan ID names are correct, you will need to check the plan information and rates for each plan. To do this, click on the plan name for the first plan in the list. 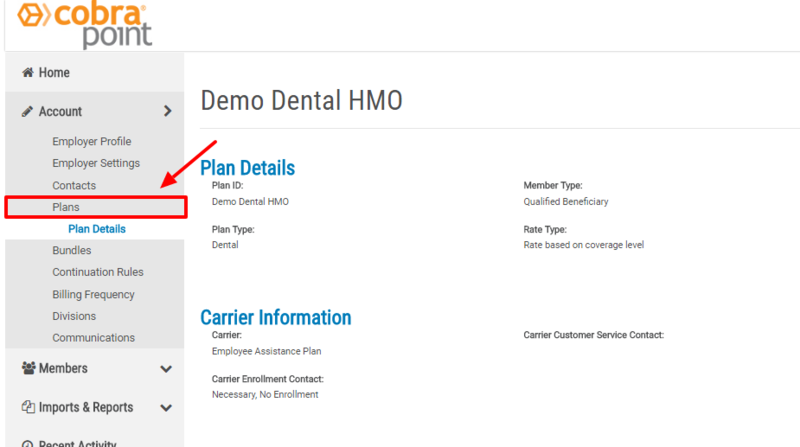 On the next page, you will see all of the information for that particular plan, including carrier details, benefit termination type, and renewal month. At the bottom, you will see a “Rates” section that shows the effective date for the current rates. To view the current rates for the plan, click on “View”. On the next page, you will see a list of all possible coverage levels. There will only be rates listed in the coverage levels that are available for each plan, so not all coverage levels will have a rate listed. 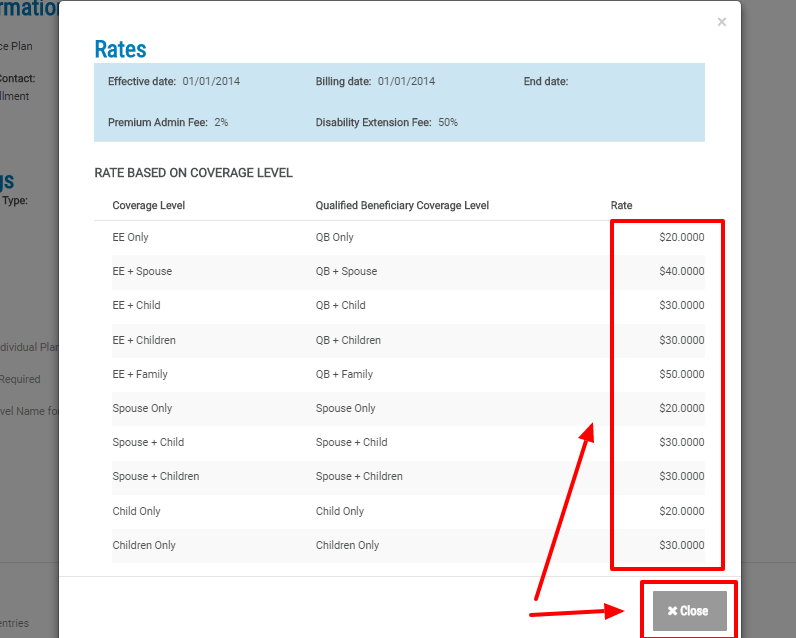 Please verify that there is a rate listed for each of the available coverage levels for that plan and that the rate amount is correct. When checking the rates, please note that the rates listed do not (and should not) include the 2% admin fee. Once you have finished, scroll to the bottom and click “Close”. To return to the list of all plans, click “Plans” again. Repeat this process for each of the plans in your list. If you discover any discrepancies — a plan is missing, a plan is listed that should not be included, a plan name or carrier plan name is incorrect, a rate is incorrect, a coverage level is missing or incorrect — please contact your Client Relationship Manager or our COBRA team right away. You can email our COBRA team at cobra@24hourflex.com or call at 303-269-7886.